Here, at Doan’s Overhead Doors in Kawartha Lakes, we serve our customers with quality garage doors that even after all that time in the sun will still look just as shiny and new as the day they were first installed. This means that your home will always be beautiful and have excellent curb appeal. The team at Doan’s Overhead Doors have learned many things over the years, as well as honed their skills. So, if you ever have any issues at all with your garage door, you can be sure that our professionals will be able to take care of it for you with precision and efficiency. Our team of qualified technicians are experts in the field. Due to their years of experience, we can promise you that our team knows their garage doors and everything about them. Our team brings knowledge and expertise to the table in order to advise you to your best options. 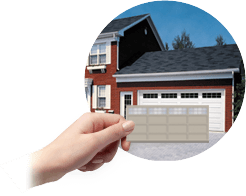 As garage doors professionals, we pride ourselves in offering our customers all of the necessary information, so that they can make the very important decision about a new garage door. 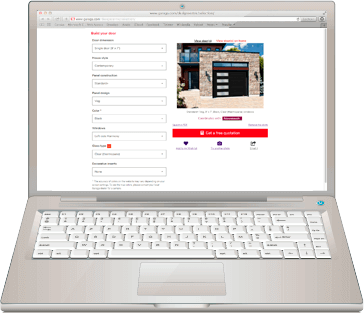 You can visit our Design Centre to create the perfect garage door that blends well with the exterior of your home with just the click of a mouse. The possibilities are only as limited as your imagination. You can choose from different models of garage doors. You can then customize the colours and dimensions. Finally, you can add windows and even decorative accessories. Come on in and see it with your own eyes! A garage door is a major purchase- one that will only be done once every 25 years or so. With all of the options available these days, it is necessary to have someone that can guide you through the process. Our team of professionals can guide you to the best choice for your home. We are garage door specialists from choosing the right model and colour to installing and maintaining your garage door. Choosing the perfect garage door is an easy process with our team at Doan’s Overhead Doors, we can promise that even the smallest detail will be considered. We are proud to offer our customers the best products on the market. You can be assured that our products are durable, efficient, and most of all, safe. This is why we feature LiftMaster garage door openers. LiftMaster garage door openers feature a strong motor that you can truly depend on. You won’t have to do any heavy lifting, LiftMaster will do it for you. Additionally, you can be sure that your garage door will be properly closed, meaning that you and your family will be safe from the elements and any unwanted intruders. If you ever start hearing odd noises coming from your garage door, or notice that a roller is out of place, you should never try to fix it on your own. Our team, here at Doan’s Overhead Doors, is here to help you with any issues you may have. Simply give us a call and we’ll send one of our trained technicians to fix anything they can, and if they can’t we’ll be happy to replace it. They will make sure that you have everything you need and answer any questions or address any concerns that you may have.